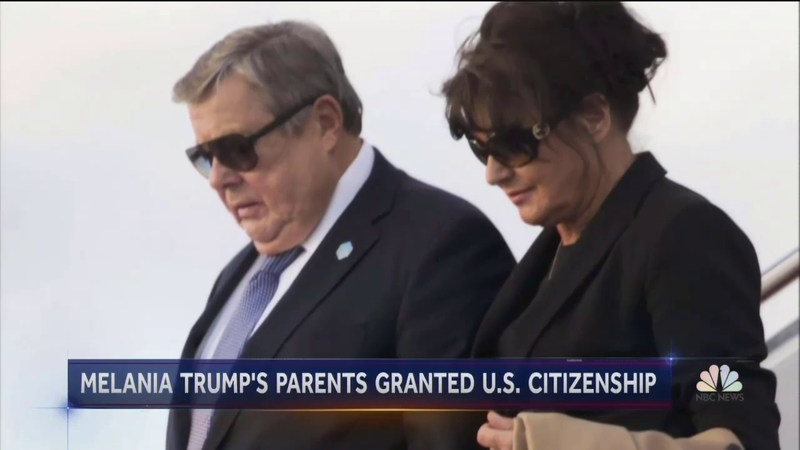 First Lady Melania Trump’s parents, Viktor and Amalija Knavs took the oath to become U.S. citizens on Thursday but NBC Nightly News was not having it. The broadcast network speculated that they received special treatment in the process and possibly used chain migration, a program the President opposes, even though the process still exists and still legal. The report was delivered NBC’s often resentful White House correspondent Peter Alexander, who noted the First Lady’s parents were “Slovenia immigrants taking the oath in New York City.” “Their experience reigniting questions whether they obtained citizenship through chain migration, a family unification process President Trump’s repeatedly denounced,” he announced with great sarcasm. Alexander appeared skeptical of their lawyer’s insistence that they did not receive any special treatment by the government. “Asked if Knavses used chain migration, the lawyer told The New York Times, ‘I suppose it's a dirty-- dirtier word,’” he added.